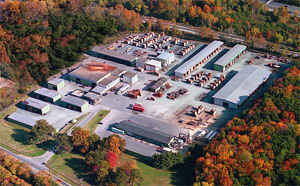 The great diversity of American forests can be credited to temperate climates, and because of the special conditions that contribute to thriving hardwood forests, most of them grow in the Eastern U.S. Of course, that comes in handy for us here at J. Gibson McIlvain Lumber, since our base of operations is in Maryland. Because each species, domestic or tropical, has a unique cellular structure which creates a similarly unique set of physical properties, the end use determines the ideal species. While Red and White Oak are certainly the most plentiful North American hardwood species, Maple is also a well-known domestic species. While comprising only 8% of American hardwoods, Maple is among the widest spread North American species, growing in almost all regions of the continent. 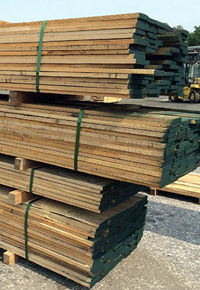 J. Gibson McIlvain stocks two types of Maple: Hard Maple and Soft Maple. Also referred to as Sugar Maple or Rock Maple, Hard Maple is an extremely hard species. 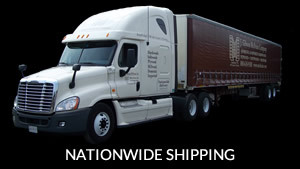 As such, it is typically used in flooring and cabinetry. Its blonde coloring makes it ideal for complementing almost any décor. Hard Maple has fine pores and an extremely tight grain. Hard Maple’s very light (almost white) sapwood makes this species a rarity, with its sapwood prized almost as highly as its heartwood. Hard Maple is exceptionally hard and dense, making it hard on cutting edges of tools. Even still, Hard Maple holds a crisp edge for mouldings. This species’ high level of stability makes it ideal for flooring applications; however, its tight grain keeps dyes, waxes, and stains from penetrating deeply. 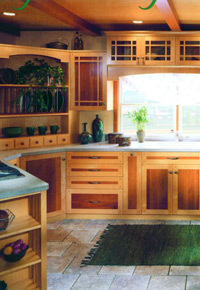 As a result, lacquer or varnish are often used to finish Hard Maple. Sometimes referred to as Red Maple, Soft Maple is “soft” only by comparison to Hard Maple; it is still very much a hardwood species. In fact, it’s only slightly softer than Hard Maple. Soft Maple’s heartwood has only subtle distinctions from Hard Maple, with reddish-brown lines that contribute to an almost pink overall effect. More significantly, flat sawn Soft Maple often showcases wandering grain lines that contrast with Hard Maple’s straight, regular grain. Unlike Hard Maple, Soft Maple grows in a specific region, with most of it along the eastern seaboard of the U.S. It’s still readily available, though, and is even more affordable than Hard Maple. Because it is softer, it is a little easier on tools while still holding details well. It finishes nicely but without the polished look of Hard Maple. While it’s not a distinct species, figured Maple is unique enough to warrant a mention. Either Hard Maple or Soft Maple can produce specialty grains that are highly sought after by instrument and furniture makers, ranging from Quilted, Curly, Bird’s Eye, Tiger Striped, or Spalted grain effects. As you might suspect, cabinet makers or flooring manufacturers lack that same appreciation, preferring consistent, uniform grain and coloring. J. Gibson McIlvain separates figured boards from straight grain boards, so we can fill requests from our many, varied customers. Next up: Poplar and Cherry.